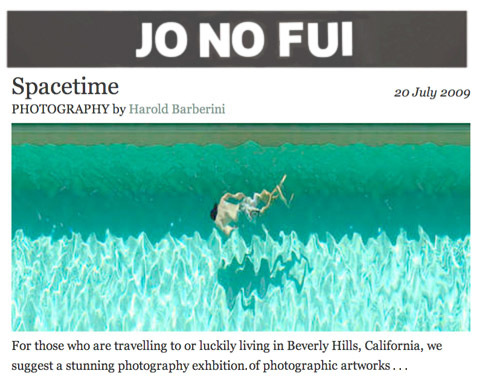 For those who are travelling to or luckily living in Beverly Hills, California, we suggest a stunning photography exhibition of photographic artworks by Jay Mark Johnson spanning four series: Motion Studies, Anachronistic Nature, Topological Shifts, and Spacetime Cityscapes and Landscapes . . .
Read Harold Barberini’s postings here. the perfect way to keep cool in los angeles over the following six weeks: by viewing jay mark johnson’s epic water works at the ace gallery in beverly hills (opening this thursday). . .
Read DELINLEE DELOVELY’S posts here.